Pope Francis will preside over a consistory to approve the canonisation of five men and women, including Blessed Teresa of Kolkata, the Vatican announced. The 15 March consistory will also determine the approval of canonisation of Argentine “gaucho priest”, Blessed Jose Gabriel del Rosario Brochero and Blessed Jose Sanchez del Rio, a 14-year-old Mexican boy martyred for refusing to renounce his faith during the Cristero War of the 1920s, the Vatican said on 7 March. 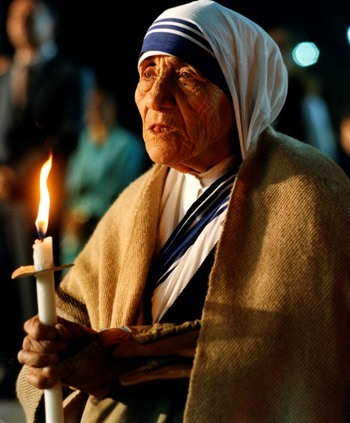 After reciting the Angelus with thousands gathered in St Peter’s Square on 6 March, Pope Francis publicly offered his condolences to the Missionaries of Charity and prayed that Blessed Teresa of Kolkata would “accompany to paradise these daughters of hers, martyrs of charity, and that she would intercede for peace and a sacred respect for human life”. The four Sisters and 14 other people were killed by uniformed gunmen, who entered the home the sisters operate for the elderly and disabled in Aden. The superior of the Missionaries of Charity at the home survived by hiding, according to the Vatican’s Fides news agency. Fr Tom Uzhunnalil, an Indian Salesian priest who had been living at the home since Holy Family Parish in Aden was sacked and burned in September, was missing after the attack. Pope Francis said the sisters and the others killed “are victims of the attack by those who killed them, but also (victims) of indifference, this globalisation of indifference that just doesn’t care”, the pope said. Yemen has been experiencing a political crisis since 2011 and is often described as being in a state of civil war with members of the Shi’ite and Sunni Muslim communities vying for power; in the midst of the tensions, terrorist groups have been operating in the country, including groups believed to be associated with the so-called Islamic State and al-Qaida. Two of the Sisters killed were from Rwanda, one from India and one from Kenya, the bishop said. Fr Uzhunnalil apparently was kidnapped. “For me there is no doubt that the sisters have been victims of hatred – hatred against our faith,” he told Catholic News Agency on 6 March. “The Missionaries of Charity died as martyrs: as martyrs of charity, as martyrs because they witnessed Christ and shared the lot of Jesus on the Cross,” he said, pointing to one of the prayers they recited daily. Recited after their morning Mass and before breakfast, the prayer is one of the last that the sisters would have prayed before being killed. Bishop Hinder said it would be difficult not to see the event was motivated by “a misled religious mind”. The bishop believes the Sisters were a target because certain groups in Yemen “simply do not support the presence of Christians who serve the poorest of the poor”. While no one has claimed responsibility for the attack, it is believed to have been the work of either al-Qaida or ISIS. He said the attitude goes against the mainstream thought of the Yemen people, the majority of whom appreciate the presence of the Missionaries of Charity as well as their “dedicated service” to the poor.